Robert Kearney at Gates of Vienna: The Franco-German Union, last step towards an EU Empire……. – The Tundra Tabloids……. 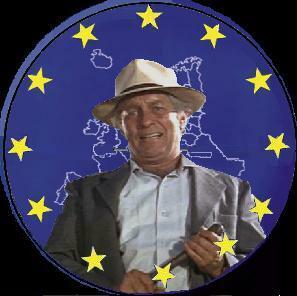 Robert Kearney at Gates of Vienna: The Franco-German Union, last step towards an EU Empire……. 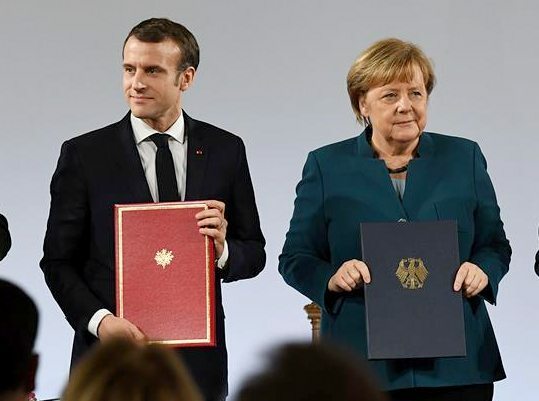 On January 22, 2019, the President of France, Emmanuel Macron, together with German Chancellor Angela Merkel, signed a treaty of bilateral cooperation which pledged to unify both France and Germany in a way not dreamed of since the ninth-century reign of Charlemagne. A new Franco-German Empire of sorts (this was clearly the intent as evidenced by where the treaty signing took place, the town hall of Aachen, France, the city that had been the historic capital of the old Carolingian Empire), this new treaty was received warmly by various European and global elites. However, it raised concern among the more Eurosceptic nations such as those of Central Europe, Italy and even some in Britain (not to mention nationalist and anti-EU parties and citizens within France and Germany themselves). The great fear amongst many in Europe is that this agreement will lead to a unified Franco-German superstate that will further shift the balance of power in the EU away from sovereign nation states and toward a centralized bureaucracy ruled from Brussels with the economic and even military backing of Paris and Berlin. This Franco-German treaty represents the culmination of years of attempts by the leadership of the European Union to move the bloc from a loose federation of nation states united by economic concerns into an actual centralized, supranational entity akin to a federal republic such as the United States or Germany wherein member states would lose much of the sovereignty they have still managed to maintain, giving it over to a system controlled by a handful of unelected elites who, when allied with corporations, multinational banks, and media systems, will have an almost unlimited control over the lives and freedoms of their member states. Whether this was or wasn’t the original endgame of the EU’s founders is something that can be open for debate. What is clear, however, is that this is precisely the trajectory that the modern European Union is, by its own admission, headed towards. Previous Post Previous Post Dr.Manfred Gerstenfeld: Many German Schoolbooks present Israel negatively……. Next Post Next Post Iran: Woman arrested for headscarf protest in Iran, says “I did it for my daughter”…….